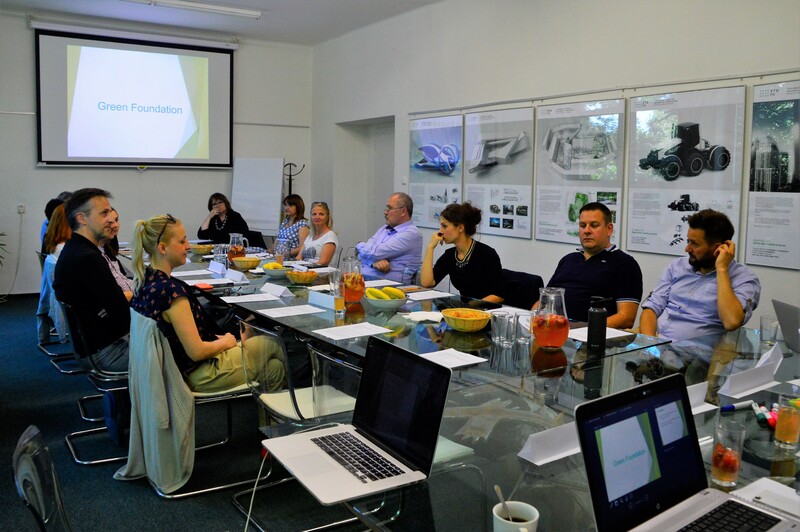 On 18th May, The Green Foundation organized an introductory round table at the Faculty of Architecture STU as part of the public engagement process in order to introduce the partial regeneration project of Kollar Square. It was attended by the President of the Bratislava Autonomous Region, the management of all involved institutions based in Kollar Square and its surroundings, developer of future underground garages, representatives of the civic community and a number of specialists and experts in many different areas. An introductory round table brought a positive agreement from all the participants, who expressed clear intention to change the long-standing deprived state of Kollar Square in the wider context of the city’s space.